More than 50 personalities from different fields have gathered the IV Security Summit , held for the fourth consecutive year in Mexico City and has as main objective to reflect on the new security paradigm of the Federal Government of the Republic. Leaders from various fields, from government, civil society or the security industry and technology have maintained an intensive dialogue on the role of each sector in terms of security. An unconventional event that allows a meeting among employees, partners, friend , from different fields but with the common goal of providing solutions to the problem of insecurity. GESAB is closely linked to this sector thanks to their experience and the application of high technology projects, Monitoring and Control Centers . 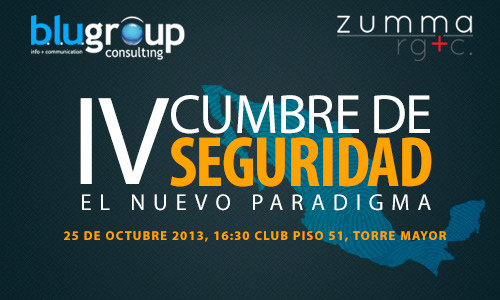 Thanks to this type of event, it´s possible to share knowledge and experiences that help create a more secure future for Mexico .